Detectives. Private Dicks. Gumshoes. Lately, it seems we’ve been watching shows about private eyes. Jessica Jones, Poirot, Father Brown, Death In Paradise and the like. Spoiler warnings: This episode contains spoilers for Jessica Jones Season 1, Death In Paradise Season 3 and Bones Season 10. Jakob and Mandi go for a drive on Fury Road. Back in college, I took applied arts with Darryll Doucette, film maker and presenter on the Dread Media podcast, where we bonded by talking about movies between classes. In the decade since graduating and parting ways, we’ve stayed in touch on Facebook to have the occasional gab session about some film or other. With Road Warrior being very important to both of us, when the first production shots for Fury Road appeared last June it was inevitable we’d have some things to say. Jakob: The robot arm is disappointing. The whole appeal of the original was the low-techness of it all. 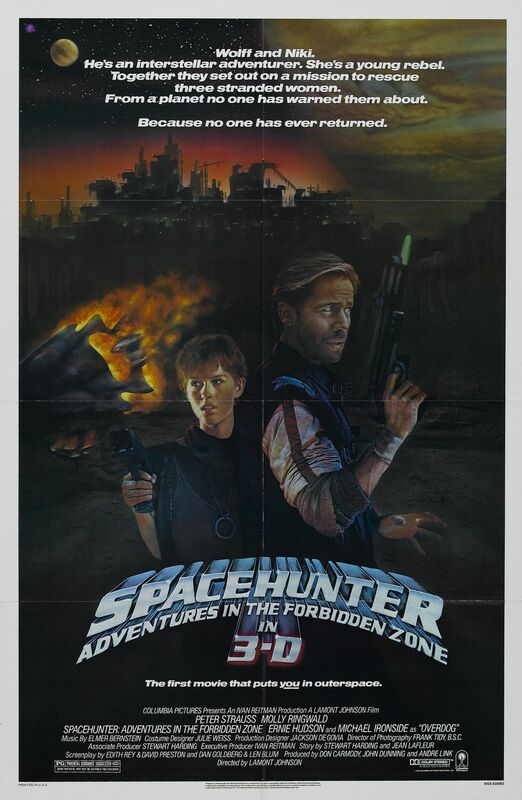 This seems more like Spacehunter: Adventures In The Forbidden Zone which is awesome too, but in a totally different way. Darryll: The arm doesn’t look so much robotic as hydraulic. More deiselpunk actually with it’s pistons and such. But I see your point. Everything’s looking kind of designed rather than cobbled together. Characters should be too busy surviving to build this. Jakob: Well, I would assume even if it’s like diesel-powered (I know you didn’t mean literally) that there’s have to be a cybernetic interface to make it work. Which seems hella-hi-tech. I mean, maybe she was a robotics professor before the collapse… but still… it feels like shark-jumping before they even get to the sharks. Darryll: Oh, I agree. Cybernetics have no place in this world. I wish Eric Bana were playing Max. This story takes place, chronologically, between Mad Max and Road Warrior yet seems heavily informed by the Hollywood revisions of Beyond Thunderdome. A move that might ruin the film for me. Jakob: Eric Bana… Tom Hardy… Ryans Hemsworth, Gosling or Reynolds… no difference to me. I don’t really care about the casting. Hardy seems as good a choice as any. At least it’s not Affleck. So, they’re setting it as an episode 1.5? What? I wonder why. I’m sure no one wants to see that chapter. And are people supposed to then watch a Gibson Max, then Hardy’s Max and then back to Gibson and then, supposedly, more Hardy films? What? I thought it was supposed to be between Road Warrior and Thunderdome as a way to erase Thunderdome from the cannon. Oh well. Darryll: It would be way more logical to set it after Road Warrior. But my real beef lies in the differences between a post-collapse story, which is what Mad Max 1 and 2 are, and a post-apocalypse story, which Thunderdome decided to be for american audiences. 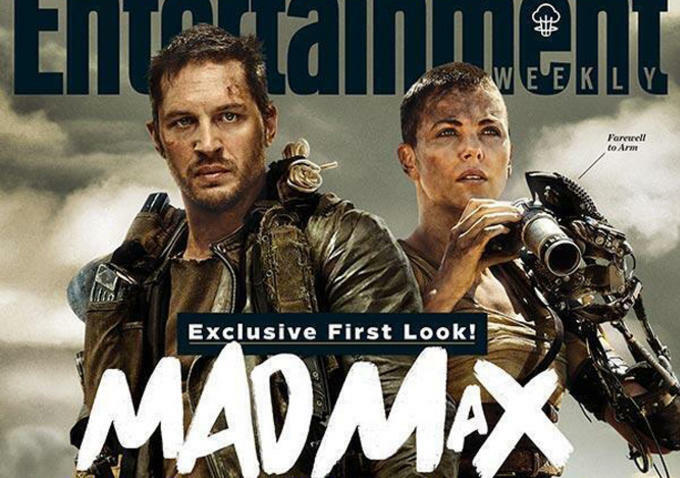 By the look of things, I’d say Fury Road has placed itself on the Thunderdome timeline. Fail. Jakob: But man, it’ll be an awesome sequel to this. Casting is pretty much perfect. Darryll: Love Spacehunter. I always thought of it as a standalone Han Solo adventure. After our “Preview Reviews“ episode (200), where Mandi and I shared our thoughts on some (then) upcoming summer films based on their trailers, including Fury Road, Darryll had this advice for me. Darryll: Jakob, I suggest letting go of the Road Warrior comparisons. I know where you’re coming from but that road leads to disappointment. Fury Road is a different future altogether. Taken on it’s own merits, of all the trailers you featured, it looks to be the most visually dynamic and thrilling. It’s familiar but not a rehash. It’s something else. Jakob: That’s an absurd thing to say about a sequel. Want to take the franchise in a significantly different direction? Create a new franchise. The result will be better because you won’t be lumbered with the past. But, of course, this film only exists as a platform to make money, not because there was a burning need to further the story. If my goal was to just enjoy the movie, yes jettisoning Road Warrior would be the way to go. That’s not my goal. Darryll: On the one hand, you seem to be complaining that the other films [on the podcast] are too much of the same, while on the other you are complaining that Mad Max is not the same enough. Well, we can agree, I think, that Thunderdome is different from Road Warrior which is different from Mad Max. My point being that Miller set the precedent a long time ago that the sequels are only tenuously connected. Not really direct sequels so much as permutations on a world featuring familiar elements. Namely, the character, Max. Please note, I am not commenting on the quality of the films or even my personal preferences but just on the creative decisions made by the creator of all these films. He seems quite willing to change things up whenever it suits the story he wants to tell. To complain that this new one is not enough like the one you liked the most is to ignore the interchangeable nature of the film series as a whole. Jakob: I think it’s a super valid criticism. Thunderdome is terrible—and not only because it’s so tenuously connected to the Road Warrior world. It’s not enjoyable on its own merrits. I could say it sucked only because it was too different from Road Warrior, but let’s be honest—it’s just a bad film. Thankfully Road Warrior was just as tenuously connected to Mad Max. Like Lucas apparently fluked out with A New Hope, Miller seems to have fluked out with Road Warrior. And that’s fine. He can make whatever film he wants now. But I refuse to work at liking it or have to jettison a love for Road Warrior to do so. I’ll grant you I may be placing too tall an order for me to like the film—keep it in the Road Warrior universe but not just rehash the same chases and set pieces. Probably nearly impossible to strike that balance. If Fury Road is enjoyable on its own merits, I’ll enjoy it however much it’s like or unlike Road Warrior. Just like with Aliens—very different from Alien, but just as enjoyable on its own merits. Darryll: I am certainly not asking you to jettison your love of Road Warrior. And Thunderdome is certainly a bad film with or without comparisons to Road Warrior or Mad Max. I only ask that you also judge Fury Road on it’s own merits, in the spirit of the interchangeable nature of the series. I ask only that if it is in fact “good”, you enjoy it for that. And if it’s “bad” we can rail against it’s actual faults and not it’s refusal to adhere to the tenants of Road Warrior. Actually, my personal preference would have been a return to the world set in Mad Max. To me, a world crumbling on the edge of despair and ruin is far more interesting than continuing to explore a contrived post-apocalypse. With each film the time before the collapse recedes further into the past while Max endures. Returning to that moment on the precipice to have another look at the world around Max would be a welcome change. Jakob: Actually, as much as I’m not a fan of the “reboot”, but given that they went with a young Tom Hardy and not an aging Mel, yeah, why not do a new trilogy starting with the crumbling world of the first film? Start fresh. Darryll: Yeah, one of the great things about Mad Max is the feeling of a society on the edge. The edge of a frontier. The edge of collapse. The edge of despair and oblivion. Very much the climate in our current real world if you ask me. Returning to that edge to take an updated look around would be very interesting. Seeing Hardy as Max as an MFP officer again would be a welcome shock treatment to the entire series. And of all the films, the gang in Mad Max feels the most realistic. Very much a “gang” and not a pseudo “tribe”, to call back to an earlier thread*. Even their clothes are more realistic motorcycle gang clothes. No feathers, mohawks, or football fetish gear. * I believe the referenced thread may have been on Darryll’s or Dread Media’s wall in which I was bemoaning how the Fury Road gangs in the trailer seemed to have appropriated some form of neo-tribalism and “gone native”, as opposed to the ’70s “glam-rock” look of bike gangs of Road Warrior. The latter of which had nothing to do with a wholesale and insensitive (on the part of the filmmakers) and nonsensical (on the part of characters) appropriation of indigenous cultures. Jakob: Ah, but this is where my opinion is nuanced. The gang in Mad Max is more realistic, but more hum-drum. The gang in Road Warrior strikes an incredibly precarious balance between fantastical and being just this side of believable. Darryll: Ha! Right. The apocalypse was an excuse for these guys to go completely off the rails and indulge every barbaric whim. I always suspected a couple of Maximum Security prisons were emptied during the riots between Mad Max and Road Warrior . Jakob: I more meant the feather boas and buttless chaps. Mad Max needed more of those. Darryll: Fury Road? I need to dish about it, nerd-style. Jakob: Haven’t been yet. Hopefully this weekend. Jakob: I’ll see what I can do. Moonwood was supposed to see it as a group, but we’re having trouble even scheduling a practice so I might have to drag Mandi to it tomorrow morning. Actually, she’s on board now that the MRAs are protesting it, haha. I’m really trying not the let the unanimous good reviews and “100% Fresh” rating not get my hopes up. Darryll: I hope she’ll dig it. Lots of strong female badasses. I’ll say no more. Jakob: Well, that’s hardly a spoiler. Though Mandi and I are of the mindset that being “a badass” does not necessarily make for a strong female character. Sometimes can be just the opposite. So my expectations remain sufficiently low to enjoy myself. Darryll: I couldn’t agree more. It’s all there. Jakob: STOP TRYING TO GET ME EXCITED! Darryll: Ha! Just go see it! Jakob: After being super bored for the first half hour, it picked up. Darryll: Yeah, it’s a little shaky starting off. I suspect lots of deleted footage from first act. Also didn’t care for Max narration or daughter(?) flashbacks. But once Furiosa hits the road its on. I was surprised at Max’s vulnerability. Miller’s stripped him of his mythical status. Very welcome change. Jakob: A more welcome change would have been to strip him from the script. A completely superfluous non-character. He just got in the way of the narrative. The daughter ghost/hallucinations were nowhere near as interesting as the original back story and corny to boot. I didn’t start getting interested in anything until the scene where the wife finds Nux hiding in the look-out compartment thing. Then I finally felt tethered to the film in some way. Darryll: As a supporting character, yes, Max does get in the way of the narrative. That’s kinda the point. 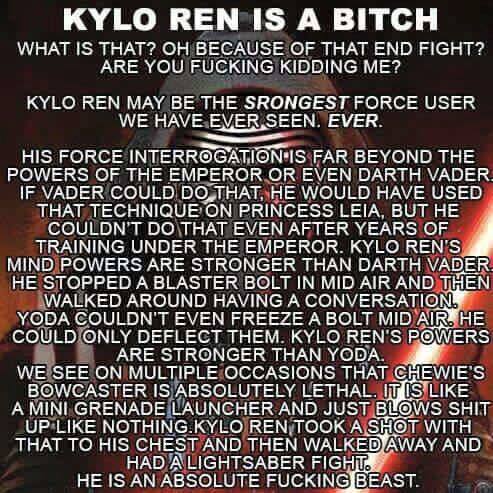 He’s a complication to Furiosa until he regains some sanity and becomes an asset. I enjoyed his arc a great deal if not Hardy’s perfomance at all times. I loved his Seven Samurai moment of going off into the fog and coming back with loot. Jakob: I think Nux could’ve filled all those shoes and things would’ve been much tighter and made for a better focused story. I would’ve rather have seen Furiosa (worst name ever btw) or one of the older desert ladies do that Seven Samurai bit. Darryll: It would have been super cool if one of the older ladies did that but Furiosa would never leave the brides alone that long. Not troubled by her name. It’s rarely used anyhow. Jakob: I would’ve liked to have seen them introduced much earlier as well. Since they were the most interesting and human characters. When I thought ‘Furiosa’ was a name given to her by Joe, or her gang name, was okay with it. But when it was revealed to be her childhood name it bugged me. Darryll: Was it? I missed that. I also couldn’t believe in the world Miller was setting up. I didn’t buy any of those three psychotic warlord clowns could keep their empires together. Especially Joe running that hydroponic farm. I couldn’t buy that he could keep that kind of operation going much less built it up. So unless the back-story was that he’d raided it and taken it over at some point (which we’re not told at all) the Citadel made no logical sense. Darryll: One way or another, Miller was gonna have to include this insane cavalcade of circus cars. At least, we’re shown an infrastructure that could support such an army. The cars would be utterly ridiculous without that. So for that, I am grateful. On the other hand, The Citadel is not far from the goofiness of Bartertown so it’s a toss up. I thought of it as something like an Aztec, or Egyptian civilization. So, there’s that. Jakob: I still doubted there was the infrastructure to support those cars. Gas Town must’ve been a helluva producer for everyone to waste that much fuel all the time. Darryll: Their insane fuel consumption was, again, kind of the point. They were just repeating the wasteful lifestyle of the rulers before the end times. Joe was ridiculously proud of his trumped up army. Jakob: I understood the message of the consumption and was okay with it on that rhetorical level. I just didn’t buy these fringe communities could function and flourish for any length of time. Darryll: Agreed. His kingdom was tenuous at best. It plays out that way too. Jakob: I just didn’t believe he had the presence of mind to have even a tenuous kingdom. Darryll: He did act like a spoiled Royal. Fun as a main villain but, yeah, not as scary as Humungous at a ground level. Nux was the character I could have done without. His arc was jarring to me. I would have preferred he stay a villain. Jakob: Really? His flipping allegiance was far too abrupt, but I loved his arc. If they’d gotten rid of Max and 20 minutes of pointless car chase at the beginning, they could’ve done his story more justice. Also his performance outshone the two main leads by miles. Darryll: Whoah. Theron was awesome. No one held a candle to her performance. I would watch a sequel with just her but I cant say the same for Nux. Jakob: I found her delivery stilted and awkward. Fault of clunky lines more that her acting perhaps. But every one had clunky lines and I only winced when she or Hardy were delivering them. Mandi pointed out she did some great silent acting. I agreed it was reminiscent of Gibson’s actually. Darryll: Her only clunky delivery was a comment in the canyon about, “having bad luck.” Weird syntax on that. Felt like a fifth or sixth take. As for “20 min of pointless car chase…” You’re losing me there. The initial chase was great and all part of Furiosa’s plan to lose her squad of War Boys. Jakob: It was visually stunning. I found it pointless because I had no reason to care about Furiosa or her plan at that point. Or the wives except on a basic universal human rights level. I didn’t have a reason to care about Max at that point either. Darryll: You’re right. But a lot (most if not all) of character development happens in the action beats. Their ability to work (fight) together pays off big in the grand finale. We don’t need to love or even care about them that early in the movie. A little mystery concerning motive is always welcome. And I loved the complete lack of verbal exposition. We catch up just as things speed up. I loved it. Silly warts and all. It made my heart beat. Going to see it again tomorrow with Nadine. Jakob: I disagree. The character development happened in those quieter scenes between the chase scenes. I think if the first chase scene had only been 10 minutes long instead of not letting up for what felt like 40 minutes, I could’ve lived with the character/motivation mystery. But I’m someone who finds action sequences boring without well established context. Even amazing, inventive scenes like in this film. I’d rather be told a story than shown a spectacle. If both can happen, all the better. Once the story kicked in about a third of the way in, I started to enjoy myself. I’m glad it got your heart beating. I should make clear, I did enjoy lots of the film. I just didn’t think it was all that good overall. Though I will say it’ll probably end up being one of the best constructed action/Hollywood films this year. If not the best.